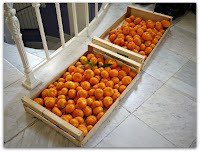 Well, six kilo of the 10 kilo of those fabulous mandarins I scored from my neighbour have been accounted for! Most of them ended up as morning juice, some as sorbet (divine!) and some were made into tarts. The last of the little gems are destined for the preserving pan and then whisked off to Canada this summer for my annual Great Glebe Garage Sale fundraiser and assorted family and friends. For this marmalade, I used Vitpris which is essentially powdered pectin. 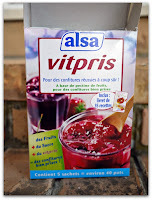 It's very easy to use - you just add it to sugar and fruit and cook it. It always reliable, even in this recipe where I've reduced the sugar slightly and increased the amount of fruit. 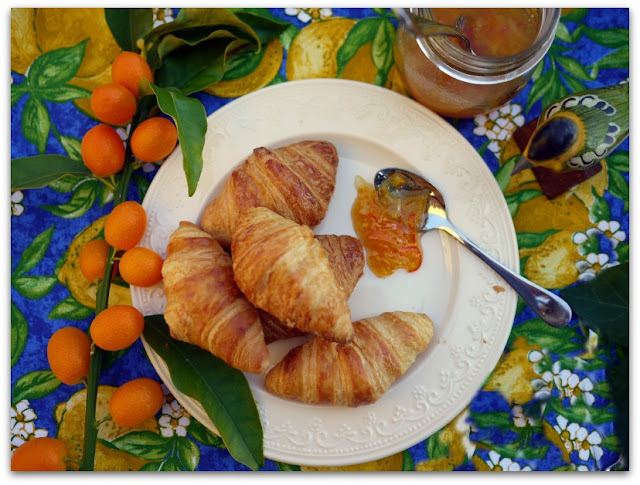 I posted about some of the jam making products available in France but if you're in North America, pectin products from Bernardin or Kraft's Certo work perfectly too. If you're new to home canning, you may want to visit the Ball Preserving web site before you start. It's a comprehensive "how to" guide for the novice home canner. I also recommend that you follow the recipe that comes with whatever product you're using then as you gain more confidence and experience you can fiddle with the quantities. After all, your first try should be a happy success! 1. Place the clean jars in a large preserving pan, fill with water until the water reaches 2" (5cm) or more above the rims. Boil for 15 minutes to sterilize. the jars. After 15 minutes, turn down the heat to simmer but leave them in the water while you prepare the fruit. Add more water if the water has fallen below the rims. 2. Using a vegetable peeler, remove the skin from the lemons and bitter oranges You'll need 70g of each. Finely shred the peel crosswise so that the strips are about 1" (2-3cm) in length. Place the peel in a saucepan, add water to cover and boil for 3 minutes. Drain and set aside. 3. 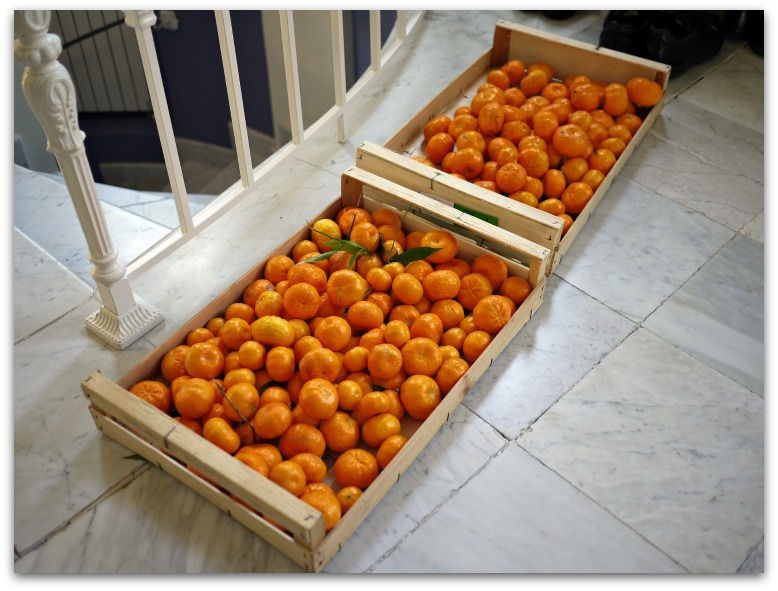 Peel the mandarins and oranges, remove the seeds and cut them into chunks. Juice the bitter oranges and lemons and strain the juice to remove the seeds. Weigh each of the fruits as you prepare them and place them together in a large preserving pan. Make sure that your pan is large enough so that there is at least 6" (15cm) from the top of the fruit to the top of the pan. 4. Increase the heat under the pan holding your jars so that the water is boiling. 5. 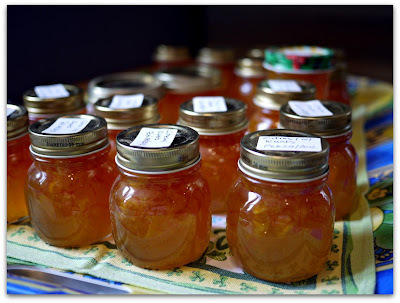 Set up an assembly area where you'll be filling the jars with hot marmalade. Lay out a dish towel on your counter top. Place a dish towel on a tray large enough to accommodate all 9 jars. Set out your funnel, ladle, paper towels, lids and tongs. 6. 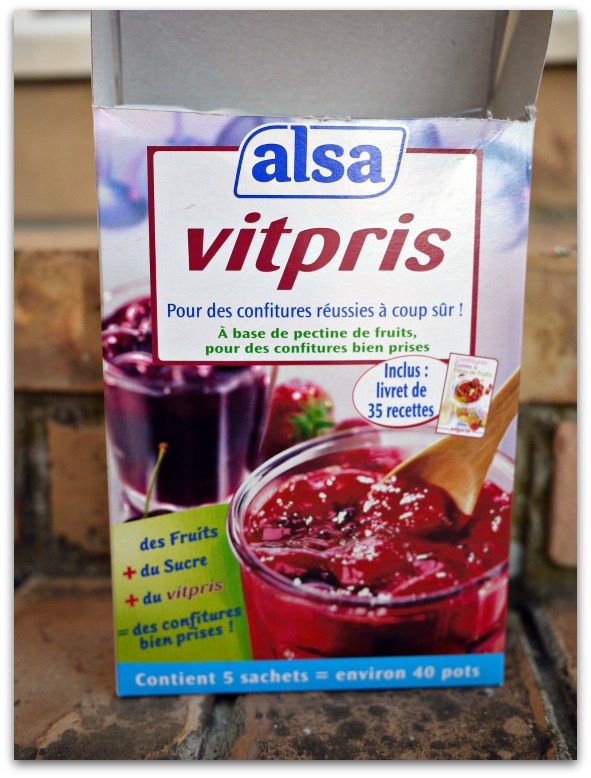 Mix the Vitpris together with two heaping spoonfuls of sugar taken from your 800 grams of sugar. Add to the pan with your fruit and mix well. 7. Bring the mixture to a boil, stirring constantly. Once it's boiling, set a timer for 3 minutes. After 3 minutes, add the remaining sugar, stir well and return to a boil, stirring constantly. Once it's boiling, set your timer for 3 minutes. When the 3 minutes is up, remove your pan from the heat and place it on your tea towel in your assembly area. 8. Remove the jars from the hot water, set them on your tray and bring them to the staging area. 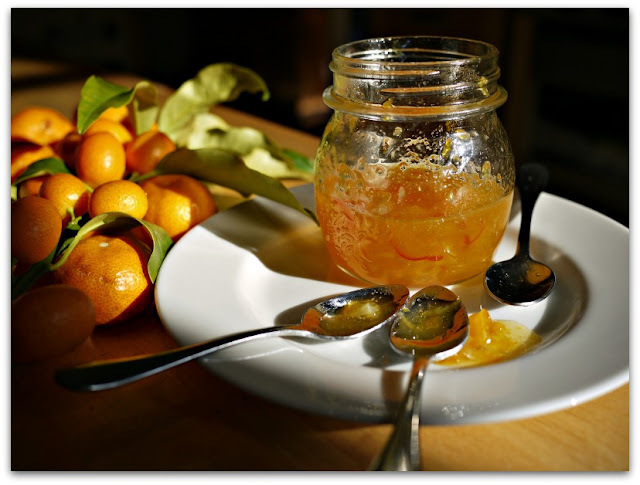 One by one, place the wide-mouthed funnel into each jar and fill with marmalade leaving about 1/4" (1/2 cm) clearance at the top. Wipe the rims clean with paper towels dipped in hot water. The rims must be perfectly clean otherwise the lids will not seal properly. Screw the lids securely onto each of the jars and using the tongs, return the jars to the boiling water bath. 9. Once the water is boiling set your timer for 10 minutes. When the time is up, remove each of the jars without tilting them, and set them on your tray. After the jars have been out of the water for a minute or so, the lids will start to curve downward with a "pop." This means that a vacuum seal has been achieved and the marmalade will be safe to store without being refrigerated. Leave the jars overnight, undisturbed. 1. Try to keep pets and children out of your kitchen while you're making preserves. Hot liquids in large quantities can be dangerous and if you're distracted, time sensitive things tend to burn! 2. If you have a round cooling rack, place it in the bottom of the hot water bath. This way the jars won't clatter around when you're boiling them. 3. To reduce the probability of the marmalade boiling over while you're cooking it, spray a fine layer of oil around the top of the inside of the pan or wipe a bit of oil around it. I can never get enough citrus, so this is definitely my kind of jam (pun intended)! Just in time, too, before all the good citrus is gone again. I've been savoring my last batch of blood oranges, and will be so sad when they're finally finished. I love blood oranges! I once ate so many of them after a power walk that I felt sick. It was worth it though.